Considered the “3-Across Convertible Car Seat” by car seat gurus, the Fllo is the little brother to Foonf. At just under 17 inches wide, the Fllo makes installing 3 across possible without sacrificing industry-leading safety features. 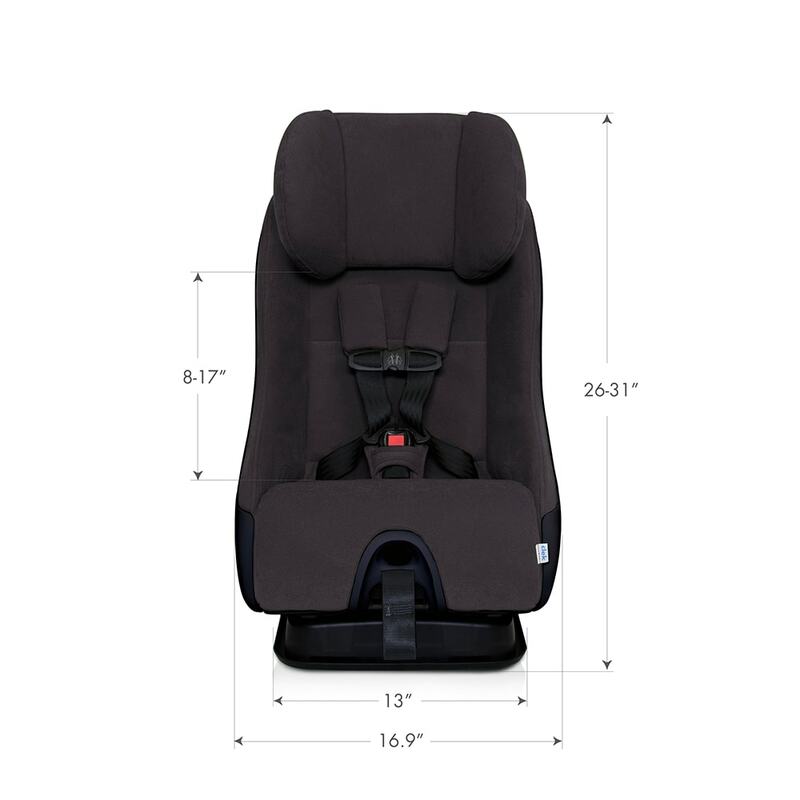 Extended Rear Facing – following international passenger safety practices, the Clek Fllo keeps your child rear facing longer than other car seats, up to 50lbs. That’s up to 4 years for those who are counting! Anti-Rebound Bar– that’s ARB for short, but not short on safety! The Clek Fllo anti-rebound bar is essential in preventing rebound, either frontal or rotational in the event of collision. The ARB also improves seat installation by allowing the Fllo to nest firmly and evenly against the flat part of the vehicle seat. Advanced Side-Impact Protection – lined with energy-absorbing EPP foam, Fllos’ adjustable headrest with deep side wings is connected by steel rods to its frame to ensure maximum protection in the event of a collision. There are also foam layers on both the inside and outside of Fllo to absorb energy in a side-impact collision, ultimately reducing the amount of force transferred to your child. Energy-Absorbing Crumple Technology (EACT) – similar to the REACT technology found in the Clek Foonf, the Fllo features EACT which helps transfer forces away from your child. This is made possible to the aluminum honeycomb deformable cores that are integrated into the base of each Fllo car seat. Easy Installation – the Fllo features a flip foot on its base for optimal rear facing installations. The robust anti-rebound bar (ARB) is then able to nest firmly and evenly into the flat part of your vehicle seat back, ensuring a snug installation with ease. Adjustable Structural Headrest – energy absorbing foam and steel connecting rods make the headrest not only comfortable, but better yet, providing maximum head protection in the event of a side-impact collision. 100% Australian Merino Wool - a luxuriously soft fabric that has no flame-retardants and naturally keeps your child cool when it's hot, and warm when it's not! Fllo conforms to all applicable Federal Motor Vehicle Safety Standards. Fllo has a 9 year expiration from date of manufacture. 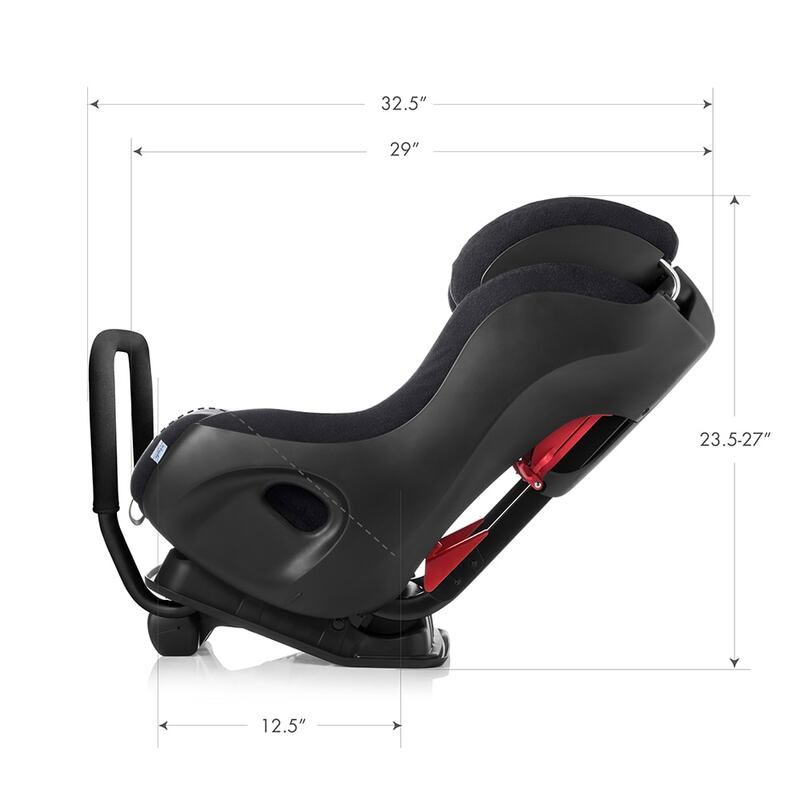 *When using the Infant-thingy (sold separately), you can accommodate a child that’s 5 lbs. and 19 inches.